During the month of December in 2009, I didn’t have many chances to get much free riding in due to low snow depths at the local backcountry spots and numerous days at Willamette Pass for ski patrol training. So I headed out to Hoodoo to check out the fresh snow that had fallen and to ride Buell’s K2 Gyrator. 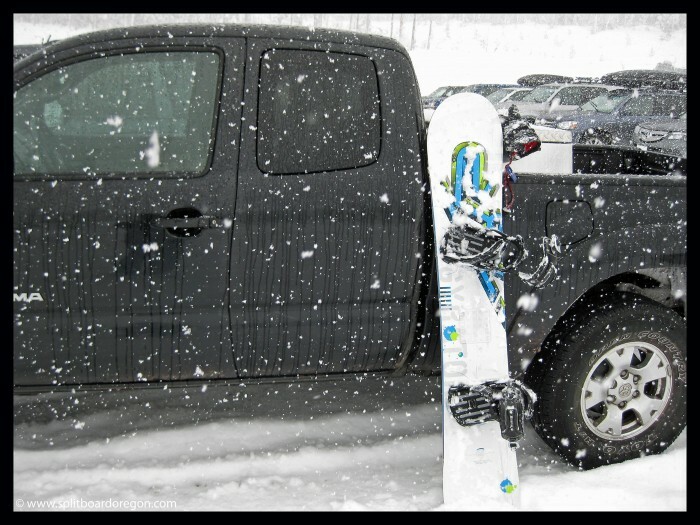 The Gyrator features powder rocker, and it rides powder like a dream. I spent most of my time riding the 8-10 inches of fresh snow in the summit bowl and east face. The Gyrator handled the fresh snow superbly, and wasn’t a problem on the soft groomers. I spent most of the day riding solo, and it was good to get some nice turns in to end the year. 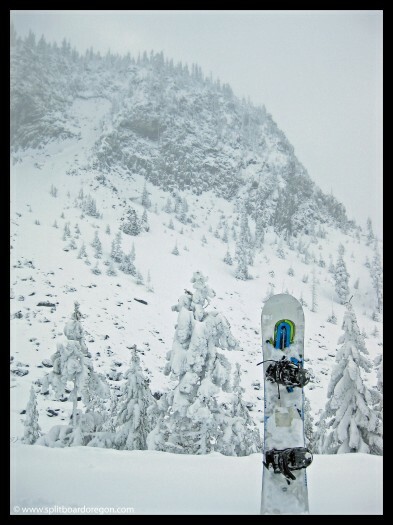 I snapped a photo of the board at the bottom of the east face with Hayrick Butte in the background….. I made turns until about 2:00, when I decided to call it a day and head for home. It was still snowing when I left, but the mountain was pretty tracked out and I felt good about my day. Overall, it was a great way to end the year.